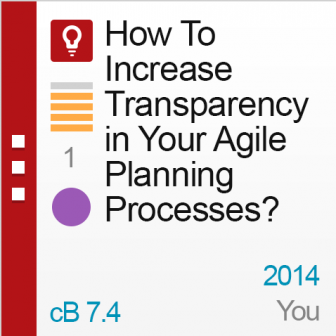 How To Increase Transparency in Your Agile Planning Processes? Flexibility and responding to change are two of the substantial values of Agile software development, as proclaimed by the principles stated in the Agile Manifesto ('responding to change over following a plan'). Basically, this flexibility is what adds the 'agility' to Agile. That said, there's an important thing to note here: Agile never said you don't even need a plan. However common, that is a false misinterpretation of the statement. In fact, working under the Agile framework involves quite a lot of planning, as you're not only designing the delivery of a static product. You're also trying to incorporate a range of variables into your plan and preparing for uncertainty in a number of ways. Moving forward, as the plan is broken down into individual tasks, transparency (the tracking of responsibilities and delivery) is of utmost importance, not only to project managers, but also to each individual team member. Working Agile means collaboration, focusing on delivering value within short iterations, with democratic team governance. With such complex tasks, a simple and clear overview of processes is vital for all of the team members involved. These issues are exactly what the new and enhanced features in codeBeamer's latest release 7.4 aim to respond to. Our enhanced Agile Project Planner with new relations filtering options facilitates project planning and management, yielding widespread benefits throughout the project's duration. In Agile, it's not the team that works for the Scrum Master, it's the Scrum Master who strives to facilitate the work of the development team. Planning, therefore, is not primarily for the Scrum Master – the plan helps the work of the team, promoting transparency, collaboration, and communication. 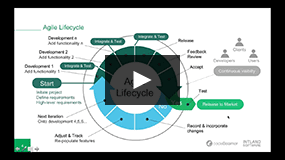 Pro tip: Sign up for our Agile Training Course for more Agile insights & best practices! In an efficient Agile development process, the team always needs a clear overview of all the tasks to be done pertaining to each sprint or release. The revised Release / sprints tree in codeBeamer displays the releases and sprints in the plan, along with all the related deliverables. With all relevant details displayed in a single screen, team members will be presented with a simple overview of all tasks in a sprint or release. The requirement of transparency is further supported by the enhanced Team commitment view, which lets you filter the tasks assigned to each project member. Just select the member(s) of the team whose tasks you'd like to see displayed, and the Team commitment filter will show you the responsibilities (assignments) and their complexity (story points) for that team member, along with all the details of the assignment. Since the very basic aim of Agile is to accommodate changing requirements, the changes that have to be dealt with are translated to tasks and assigned to team members along the process. Tracking these changes is often difficult: while smaller changes in a user story may just be assigned to one team member, more complex changes or completely new user stories necessitate collaboration. Matching tasks to user stories and tracking the progress made is important in making sure the requirements of each user story are followed through, and a solution is delivered. The brand new User story / Requirements relationship view in codeBeamer 7.4 lets all members of the team categorize and filter tasks and issues according to user stories or requirements. Just select a story or requirement and all the tasks relevant to that item will be displayed. Identification is further facilitated by using colors for each requirement or story. This way, you can identify user stories at a glance, and track them individually to make sure all their requirements are covered in the end product. Transparency for the whole team in an Agile development process is vital for success. Efficient collaboration and the thorough communication it necessitates are both essential in order to deliver valuable end products. The smart features in codeBeamer ALM support these Agile values, ensuring democratic and transparent team governance, and efficient iterations. Ready to start? Download codeBeamer ALM's evaluation version right away, or get in touch with Intland for more info! Sign up for Intland's Agile Training Course! You'll receive an email with recordings of our series of Agile Training Course webinars conducted over the summer of 2017!